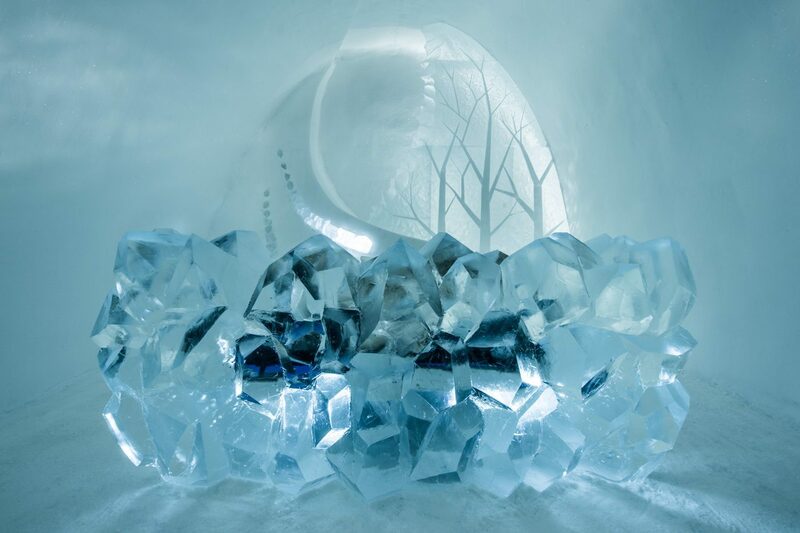 Interior views of the world's largest ice structure in Sweden. 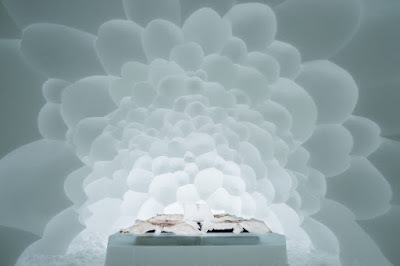 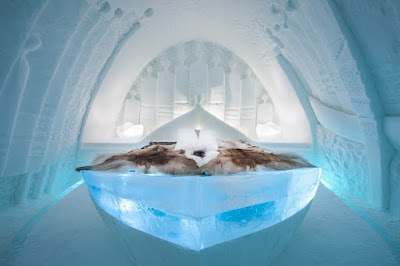 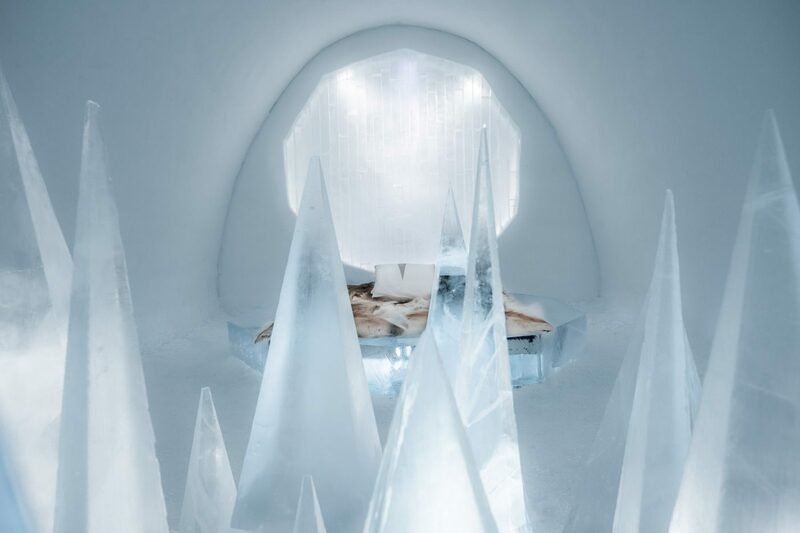 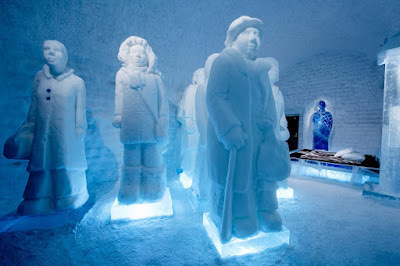 Located in the small village of Jukkasjärvi 200 kilometers north of the Arctic Circle, Sweden’s ICEHOTEL is the world’s largest ice structure, constructed each year from over 4000 tonnes of ice and snow. 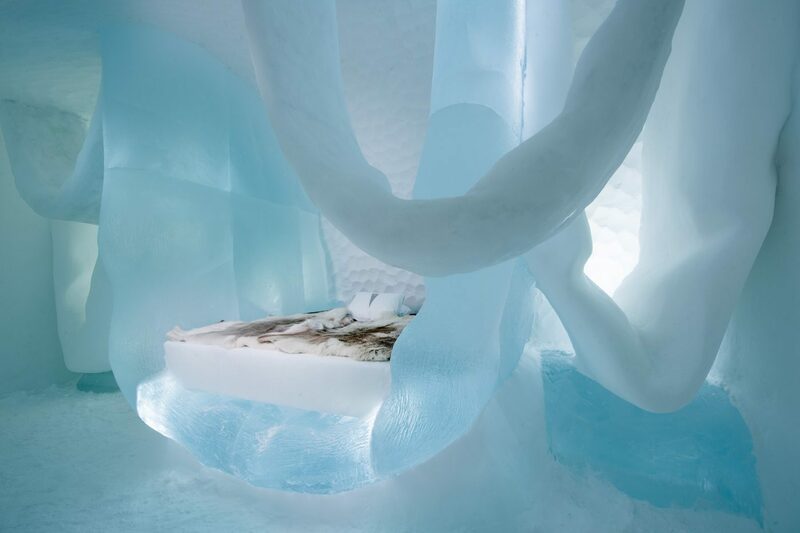 With winter now officially underway in the Northern Hemisphere, the 2017-2018 version of the ICEHOTEL is now open. 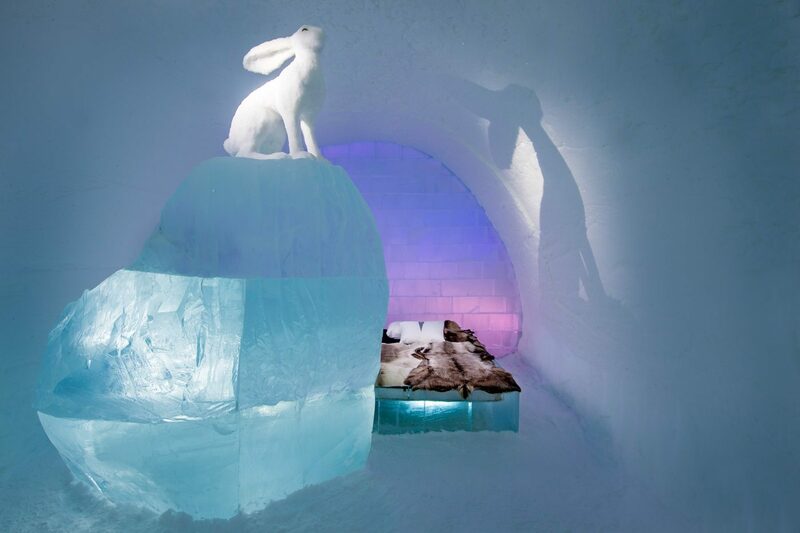 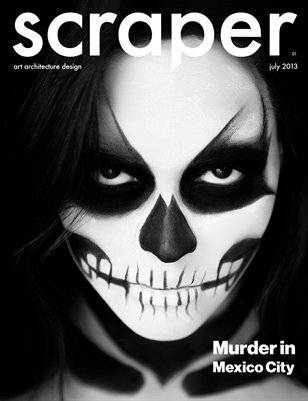 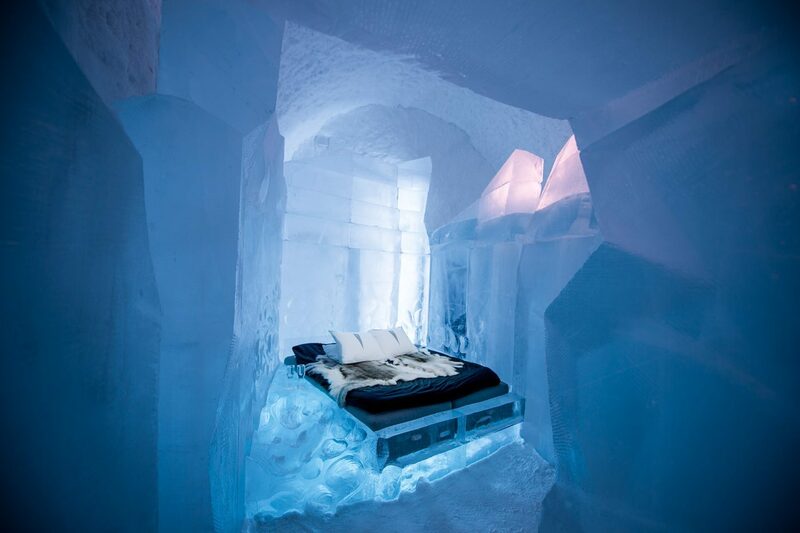 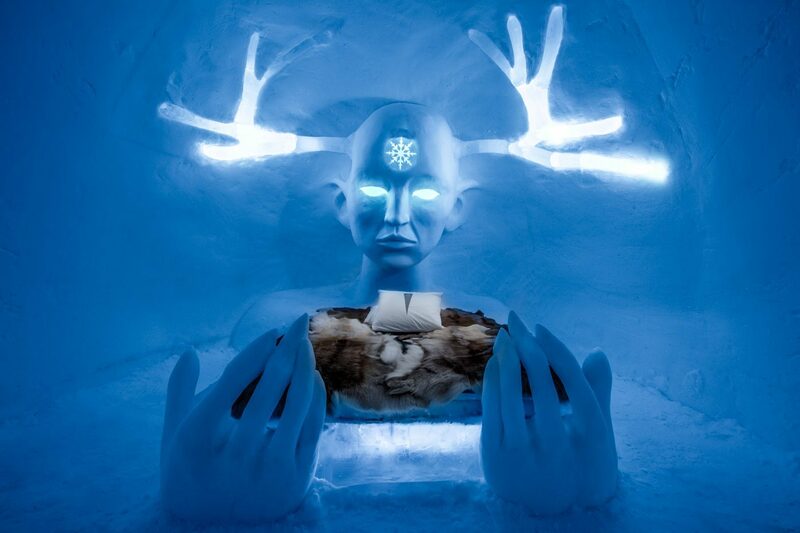 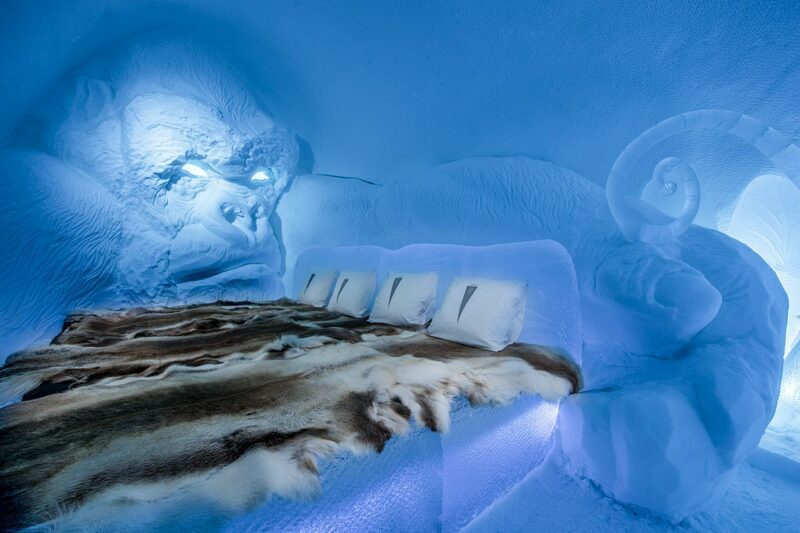 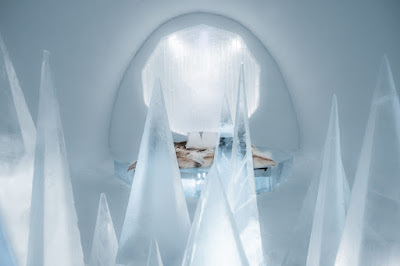 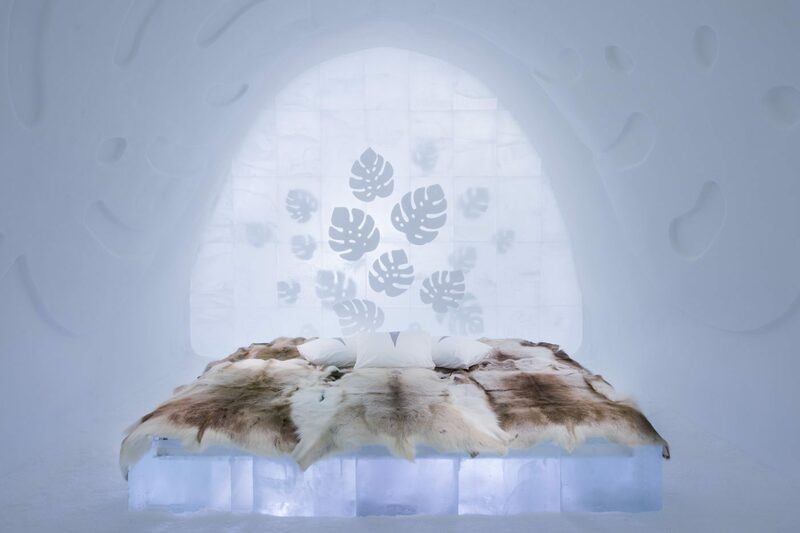 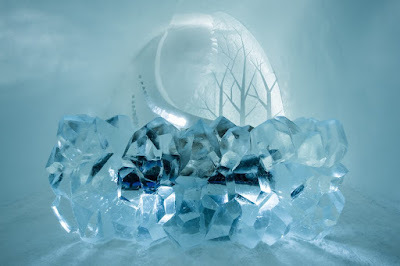 In addition to a new permanent section of the hotel kept cool year round by solar energy, for this year’s iteration, the hotel invited 36 artists from 17 countries to design the structure’s main spaces and guest rooms, including new surreal “art suites” that truly transport visitors into a otherworldly winter wonderland.